A visit to Pondicherry in the last week of October 2009 by me was highly beneficial. Apart from getting the opportunity of meditating in a place which is a spiritual dynamo, I was also able to write the next series of 4 articles titled ‘How to…. ?’ series. These articles are on enhancing one’s mind powers, yogic diet, saatvik or pure life style,as well as explanation of the mystery of Kundalini shakti, the dormant spiritual powers and thereby demystifying the clouds of obscurity around it. 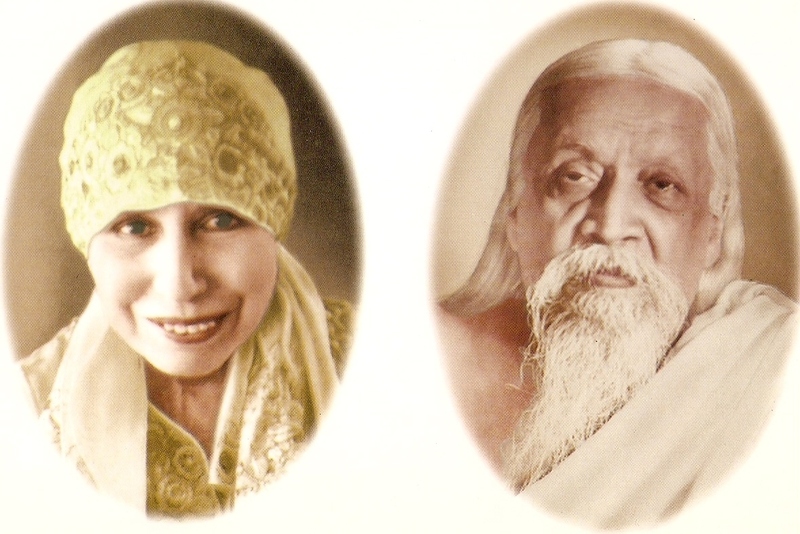 I consider myself extremely fortunate because I have been blessed in so many ways by The Mother and Sri Aurobindo in speeding up my sadhana and opening up new vistas of higher knowing very silently since I made my first trip to Pondicherry in November 2002. It was serendipity at its best since I had no clue why I was going there except that I definitely held a desire many years ago to visit this place but it had never materialized. By the year 2002, Mother knew that my time had come and a set of serendipitous events occurred which literally transported me to Pondicherry. During that time I did not even know what to expect or do there as I had no guide or adviser. However, once I began going there frequently, I have never looked back as it has been a time for great progress ever since I accepted Mother as my Holy Mother, who in turn has been nurturing and caring for me silently with Her unfathomable energy or Shakti. She replenishes and infuses me repeatedly because of which I have never ending energy to work, think, meditate and pursue a very active and strenuous life. With passage of time, my food and sleep requirement is visibly decreasing and the output is increasing. My capacity to work has increased manifold . I surprise myself when I look at the changes that are developing as I go on breaking my limitations and increase my previous limited potential. A lot has got to do with my frame of mind that has undergone drastic transformation in the last few years. The self-doubts, fears, anxieties and abiding nebulous concepts have vanished and they have been replaced by unshakable and irrevocable faith in God and my spiritual mentors who have taught me to believe in myself completely. Whatever I wish to do now I am able to do because I can perform so many types of activities and I accomplish a great deal in a day. It is Divine Mother’s wish that I share this information with all with the purpose of yielding spiritual augmentation and intensification for all sincere aspirants. She is not just my mother, she is your mother too. Whenever you are in a need of any protection or spiritual guidance, call on her. You will without fail receive her blessings in many oblique ways and manner. One can address her as just ‘Mother’ or ‘Ma’ to call her and she will respond to your desires, needs and spiritual aspirations. Human life is mainly about survival and upkeep of this body. So apart from maintaining ourselves, we need to accomplish more in less time in a day in order to save time and energy to be able to perform suitable actions to acquire awareness and self realizations. In other words, to evolve faster and speed up the upward journey of self realization, we must follow a specific life style. I sincerely hope that the following 4 articles* will be of considerable help for all of us keeping in view the intention which The Mother has in her mind. The first article will discuss some points about how we can increase our capacity to work. The second article will is going to deal with food and nutrition and breath- control. They are important topics as they are to be applied and adopted in our daily life. The next will throw some light on ‘How to make your mind strong by the power of will’. The last one is on arousing the dormant primitive energy lying unused since ancient times in our body about which we are absolutely unaware. This particular post will be an important landmark on my blog because only when that Primordial Energy or Kundalini Shakti is aroused and unleashed systematically that one can have a direct vision of Divine Light. If we, the aspirants are informed about this unknown storehouse of energy, we can utilize it in right and proper manner so as to get optimum profit and correct utilization. After all what is energy? In its simplest, energy is the capacity for doing work which is the best reason for us to save it! Know your value Know and respect yourself. Realize and know that God’s energy flows through you and allow the energy to do the work. The Divine has ideas, projects and work for all of us provided we can attune our minds with the will of God. Till that materializes, patience and peace should be maintained. Live each day to practice living by the will of God! Be egoless Inculcate a sense of non-doership. If you say and believe that you are the doer and initiator of any germ of any idea, thought, creativity or action that is not so. Whenever the will of God flows through you an action, a task or work is initiated and completed. Without the will of God, we are never able to accomplish anything substantial as we need the forces in nature do the work for us. All the forces in this Universe are in control and in command of that Almighty. So to please the forces, we have to please God first, the eternal all powerful Force that exists inside us. So surrender to God! Be quiet Silence restores our energies and gives us time for God communion. Spend some time everyday in silence in the morning after you wake up and before you go to sleep. The racing and hectic activities should be slowed down and stopped before retiring at night. Talking about irrelevant and worthless things is futile. Save energy to work more. In between two tasks, silence your mind by instilling calmness and tranquility, it is very important. Take some mental rest in between the umpteen tasks of the day. Restore your energies constantly! Keep a fixed routine Keep the day very meticulously planned to save energy and time and keep a fixed routine of your activities on a daily basis. An unplanned and badly managed day can turn out to be unproductive and frustrating. One can achieve a lot in a day, if we plan the day either before sleeping or before the real action starts in the morning. Enjoy every activity, every action, every duty that you perform Add enthusiasm, excitement, passion and a lot of interest in whatever you intend to do during the whole day. Stay interested in life like a small child so full of curiosity and keenness. A demotivated and indifferent man can never be productive, so stay alive and charged mentally and physically by being interested in life. Visualize creatively Be creative and imaginative. Visualization and imagination are the powers gifted to only humans. Imagination has innate creative powers. To accomplish anything admirable, we must first of all have very fertile and powerful imagination. The power of imagination is developed by putting it in regular use. The more you use it, the better it gets. In childhood, we were not encouraged to dream, fantasize and the sprouts of creativity and imagination were destroyed. It is essential to empower ourselves by the germ or seed of imagination which will manifest as creativity of some sort in future. The manifestation of great ideas, plans and thoughts must be born and planted in the crucible of our minds first. Gratitude and thanks giving to God Remember God for all the things that have been bestowed on us as His Grace. Being kind and humble to people is a way of thanksgiving to God. Faith, mercy, thanks- giving purify our heart and mind and attune us with the source of the Highest Power. And in this way, we are able to perform our duties and responsibilities with continuous flow of power and energy. Meditate regularly Pray and meditate. It is during this time that we are in direct touch with sublime energies and get charged with potent powerful vibrations from higher sources. During meditation, the body comes to complete relaxation when our mind is withdrawn from the senses. Even when we do no work, a considerable amount of energy is spent by the senses during wakeful hours. So when we sit to meditate, the eyes are closed and the attention or focus is withdrawn from the sensory world thereby saving sufficient amount of energy. The saved energy is then used by yogis to contemplate and meditate. And those of us who are yet to initiate themselves in meditation, even sitting still in a comfortable place and shutting the eyes for 10 minutes and enjoying the prevailing peace twice a day will yield great profit to you. So why don’t you try it, please? 1. How to increase the capacity to do work? 2. Food and Breath Control. 3. How to increase the power of your will? 4. Kundalini Shakti-I, II, III. You are currently browsing the Spirit in life blog archives for the day Sunday, November 15th, 2009.